Where is the market opportunity for developers of IoT solutions? In this article I discuss the biggest market opportunities for developers of IoT solutions. This is a topic of greatest interest to developers from independent software vendors (ISVs), and system integrators (SIs) who develop custom solutions for individual customers. For more resources, including a solution guide, podcasts, webinars, partner and customer highlights, explore Expanding business opportunities with IoT. The figure below shows the three layers in a typical IoT solution stack where an ISV could target their development. Cloud platform: a set of PaaS services used to develop cloud-based solutions. Most cloud platforms also provide specialized analytics and IoT services. IoT platform: a set of PaaS and SaaS services for rapid development of IoT solutions. IoT platforms are usually built on top of a cloud platform. IoT solution: the end-user applications that help users in manufacturing companies to extract actionable insights from IoT data. 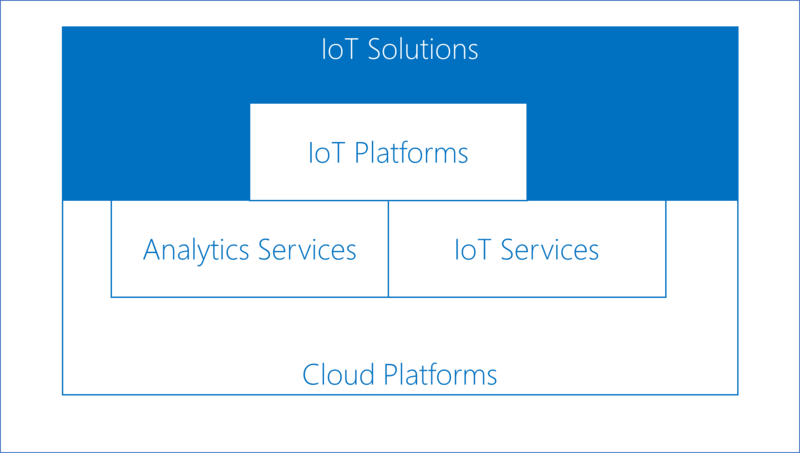 IoT solutions can be built either on top of an IoT platform, or directly on top of a cloud platform. For this article, the development of cloud platforms is out-of-scope. The cloud platform vendor ecosystem is already crowded, and the barriers to entry are extremely high. Only a handful of ISVs are in a position to develop cloud platforms. See the table below for more details. That leaves IoT platforms and IoT solutions. It’s in these two layers where the greater opportunity exists for ISVs. Manufacturers need help realizing the value of IoT. This is where the pain — and the opportunity — is today. Addressing this pain is what IoT platforms and solutions do. 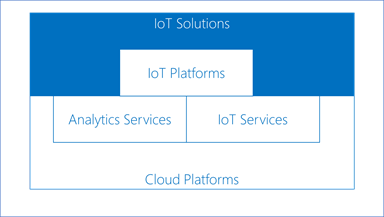 Fundamentally, IoT platforms and IoT solutions differ in their scope. The scope of an IoT solution is much narrower. It is often scoped down to a single workload on a single customer. So, for example, an IoT solution may focus on predictive maintenance of pumps in the field of a specific oil and gas company. IoT platforms, on the other hand, are used to build IoT solutions. The following table summarizes the scope for each type of development, along with their target customers, capabilities, typical cloud models, and vendor examples. Pre-built, configurable apps, templates, dashboards, analytics, and ML models. GUI IDEs and data modelers. Device connectors and protocol adapters. Application security and management services. Note that most IoT platforms also offer IoT apps that look like IoT solutions. For example, PTC Thingworx offers the “Controls Advisor App,” and the “Asset Advisor App.” Although these apps are close to an end-user IoT solution, technically they are not: they still require some level of configuration before they can be used. In addition, these apps target developers, not end users. For the purposes of this discussion, we consider these apps as part of IoT platforms, not IoT solutions themselves. The figure below shows the structure of a typical IoT solution. The components of a solution are divided into three sections: collection, analytics, and action. Software or hardware adapters that perform protocol translations between the devices and the cloud. Protocols include Modbus, PROFINET, Siemens S5/S7, OPC UA and MTConnect. These adapters could run either on the cloud gateway or the edge devices. Sensors that can be retrofitted into legacy equipment to connect them to the IoT. Azure services that could be used in this space: Azure IoT Hub, Azure IoT Edge, Azure Event Grid, Azure Cosmos DB, Azure Blobs Storage, Azure SQL Server, Azure Functions. Data visualization and analysis applications such as configurable dashboards and apps. Users can query the IoT data to create dashboards or reports. The data can be recent (such is the case in streaming analytics) or historical. Pre-built AI/ML models for predictive maintenance, inventory optimization, energy management, production optimization, and more. The necessary data models to support the use case-specific analytics. Data transformations to transform the raw IoT data into an analyzable form. The data transformations needed to prepare the data to train the ML models. Code to deploy the ML models, connect them to client applications, and refresh them with new training data regularly. 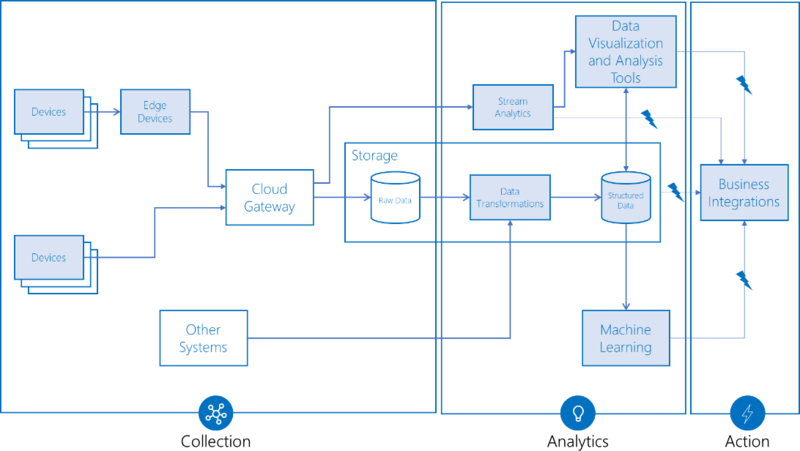 Azure services that could be used in this space: Azure SQL Data Warehouse, Azure Data Lake Analytics, Azure Databricks, Azure Data Factory, Azure Stream Analytics, Azure Machine Learning, Azure Time Series Insights. Rules on the streaming or stored data. User actions from the end user UIs. Predictions or recommendations from ML models. Azure services that could be used in this space: Azure Logic Apps, Azure API Management, Azure Data Factory, Azure Functions. With unique or complex data analytics requirements. With complex OT environments: brownfield environments with devices from many vendors, from different years, sending data in a variety of formats and protocols. With complex IT environments: with a variety of line-of-business applications to connect to, unique data security and governance requirement, etc. Without the capabilities or desire to develop the solution themselves. Build the customer solution on top of an IoT platform. Build the customer solution on top of a cloud platform. Provide ongoing data analytics services, such as creating new reports, retraining ML models to keep them fresh, etc. The IoT space is a complex, fragmented, and crowded ecosystem. As such, it is hard for software developers to identify where exactly the opportunity is. However, there are still many opportunities for both ISVs and SIs in IoT. The first opportunity is to ease the pain of connecting machines to an edge device or cloud gateway. The second is creating value from IoT data by extracting actionable insights. The actions can greatly improve businesses to be more competitive. There is also an opportunity for ISVs is in the development of IoT platforms and pre-built IoT apps to accelerate the development of IoT solutions. For SIs, the opportunity is in the development of custom IoT solutions. For either case, ISVs and SIs must have strong IoT, data analytics, data science, and cloud skills. These capabilities are in addition to deep manufacturing expertise. There is much more to discuss about IoT solution development. 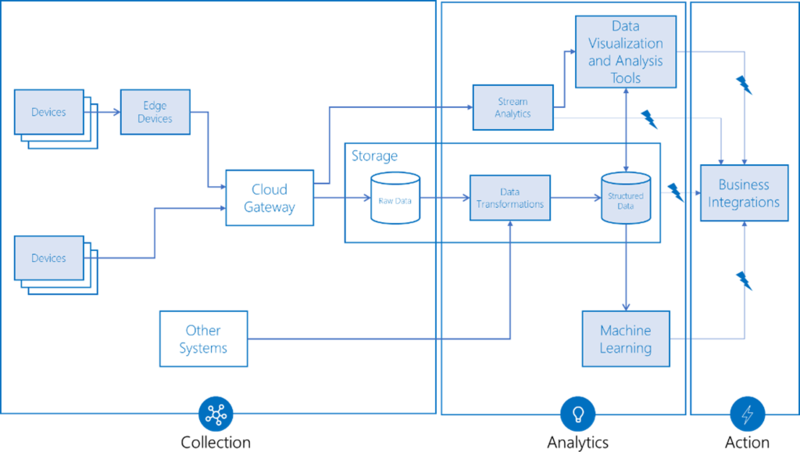 To get started, read the extracting actionable insights from IOT use case guide. For more resources, including a solution guide, podcasts, webinars, partner and customer highlights, explore Expanding business opportunities with IoT.